Dakota's first ad as a Professional Skateboarder in the latest issue of Thrasher Magazine. Daniel Lutheran is now a professional skateboarder for the bloodsucking skateboard co, Toy Machine! Celebrate Daniel Lutheran turning pro with the #DanLuPro Sect Eye camera filter! 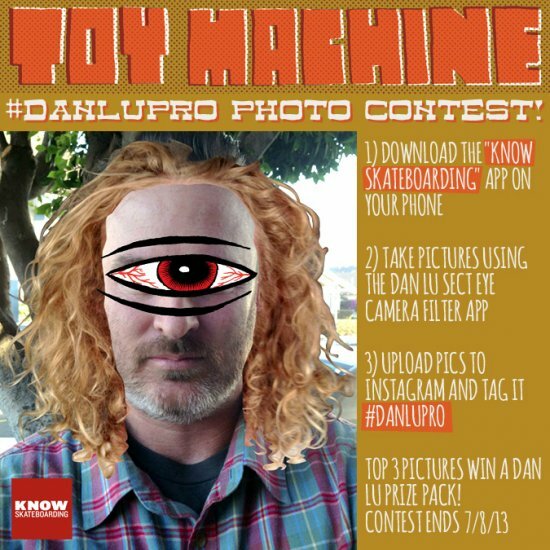 Download the Know Skateboarding app, take pictures using the Dan Lu filter, tag them #DanLuPro and you’ll be entered to win a prize pack from all of Dan Lu's sponsors. Contest ends 7/8/13! 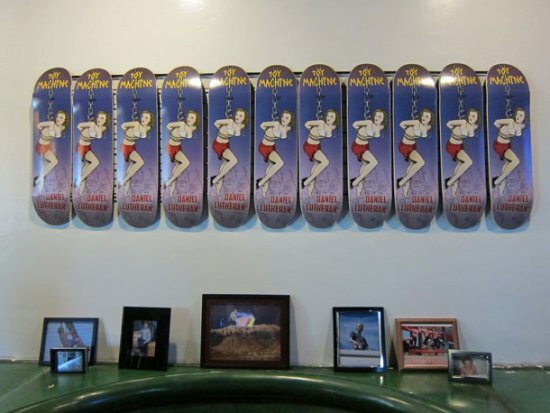 Dan Lu's first pro board, artwork courtesy of your benevolent overlord, Ed Templeton. Introducing new bloodsucking pro, Daniel Lutheran! Transworld Magazine spends a day in the streets with DanLu! Mark Gonzales films/edits a back tail shuv-it trick tip with Daniel Lutheran. Matix presents Who Is Zack Wallin? from Matix Clothing on Vimeo. Videodrone: Harmony Propaganda from Toy Machine on Vimeo. Dakota Servold "Back in the Day"
Footage during the filming of WTF! Filmed & edited by Tim Cisilino.